For those who did not pay attention in your history lessons at school, there have been three previous revolutions – the introduction of mechanisation, the use of new power sources, and the introduction of electronics and telecommunications. Now, we are witnessing the fourth – data (or the blurring of physical, digital and biological spheres). The important difference between these four industrial revolutions is the rate of change. Neil Pattemore explains. This may not have grabbed your interest yet – but it should have! It has certainly grabbed the attention of politicians, businessmen, the academic community and even the general public, and it will also impact your business models, transforming the way you do work. Currently, US-owned firms are dominating the digital economy, while Europe has largely lost out in the development of digital technologies. Likewise, Europe seems to be ill prepared for the fundamental changes created by digitalisation and its impact. There have already been massive productivity gains and the threat of creating imbalances that may lead to stark rises in unemployment among certain categories of workers, and a further polarisation of society. So how will this impact the independent workshop? The stakes are high. According to the European Commission, in 2014 alone, cross- border data flow generated an estimated €2.8 trillion in economic value, exceeding the value of global trade in goods. Cross-border data flows are the fastest growing component of EU and US trade, and a study found that between 2008 and 2012 the cross-border flow of trade increased 49%, while the increase of cross-border trade in goods was only 2.4%. So, the ‘writing on the wall’ is that large American companies will dominate the rapidly growing international digital market, but for independent workshops, there is also a need to ‘step up to the plate’ and compete at a local level. What does the digital economy mean to you? Traditionally, your competitor was the ‘garage around the corner’ – which may be another independent workshop, or a main dealer. In all cases, the customer relationship was between the car owner and the repair workshop. The ‘repair process’ started when the customer contacted you by phone or by bringing their vehicle to the workshop. Now, as part of the wider ‘Internet of Things’ the repair process is starting in the vehicle – identified as a predictive need by onboard algorithms that are monitoring the status of the vehicle and identifying a fault or when a service will be due. Therefore, the key is to be able to access the vehicle, its data and the driver remotely. For the vehicle manufacturers, this is through their telematics systems, but the access to the vehicle, its data and the consumer through this telematics system is restricted to only the vehicle manufacturer. Even their main dealers are only provided a summary of this information – they have no direct access themselves. This is the game changer – the vehicle manufacturer is now entering the aftermarket and is your new competitor. For the independent workshop, the only possible way to compete today is to use a plug-in device – typically an OBD dongle. However, this creates the next challenge, which is who supplies the dongle and how do you use the data transmitted from the vehicle? Today, these two points are typically answered by partnering with one of the dongle providers, which are increasingly often, one of the diagnostic tool providers. This also brings new business models and service offers to your customer, allowing you to monitor their vehicle remotely and offering the peace of mind that if a fault is developing, you can contact them and let them know before a breakdown occurs – or equally, let them know when the next service is needed. There are also other significant advantages to accessing the vehicle data remotely. Being able to identify what is potentially wrong with the vehicle before it comes to your workshop allows you to plan what resources and spare parts are needed before the vehicle arrives. This can reduce your workshop time by up to 50%. As this is what the vehicle manufacturers are doing, it is vital that you are also able to do so to remain competitive. If you need further proof of how this is already being offered by the vehicle manufacturers, search the internet for ‘telematics services’ and see what is already on offer, or what will come in the very near future. This trend is being driven by the mandatory fitment of the eCall safety alert system, which brings telematics systems into all new vehicle models entering the market, and with it, telematics services from the vehicle manufacturer. On a more positive note, another benefit to your workshop from the ‘internet of things’ will be the ability to enrich your services by sharing or trading data with other service providers, either to offer better services to your customers, or to optimise the way that you have ‘just in time’ access to technical information, remote diagnostic support or advance ordering of spare parts to streamline your workshop activities. Furthermore, your existing workshop equipment is already becoming part of the ‘internet of things’, as remote connection to the equipment manufacturers allows them to monitor its use and avoid breakdowns, or better schedule servicing and calibration requirements. The vehicle manufacturers’ control of access to the vehicle, its data and the consumer is already changing their business models into exploiting the aftermarket via new digital services. 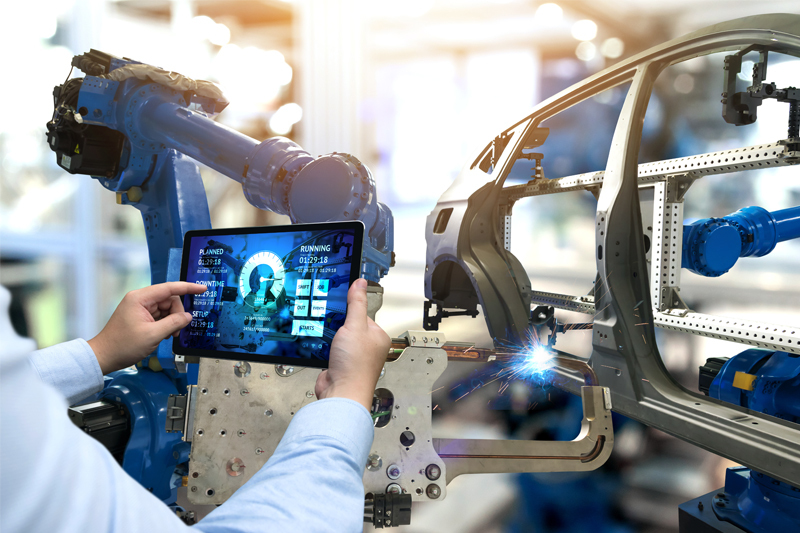 In their eyes, manufacturing the vehicle is no longer their primary source of profit, and the vehicle is now viewed as the data generator that supports a whole new range of opportunities in this digital world. As they control the access to the vehicle, its data and the consumer, they control the complete aftermarket value chain. The aftermarket needs the support of the legislator to ensure that undistorted competition can continue, but this is far from certain. Our world is changing and our fight to be able to move our business models into the digital era is one revolution that we must be part of. For further details or specialist aftermarket advice, click here. Previous : The End of Overtightening?